Imagine if kitchens were people, they would say, “Throwback Thursday to 1980s or 1990s, those were the days when we were located inside four walls and had no access to the other rooms. Very few people came to visit us and even if they did food was the only reason they would drop in and move back to the living room. Thanks to the open kitchens, there’s so much fun and freedom now.” Well, we are sure modern open kitchens feel that way and are the happiest. But let’s just not jump guns, instead have a productive debate and go a little bit in-depth and share what the arguments are. Based on our research, we have stated some of the major reasons why people choose closed kitchen over an open kitchen. Also, we have provided a counter argument and solutions with insights. 1. In an open kitchen, people come whenever they please and disturb your peace. So cooking in a closed kitchen is great because you won’t have any disturbance or interruption. Solution: Imagine having guests over to your place and you can’t help but be in the kitchen and cook. Aren’t you going to be missing all the fun? While everyone else is swapping stories and telling funny anecdotes or jokes, you’re completely left out the entire time. Not only are you missing out on all the fun, you are also left to operate in a potentially cramped area. With an open concept kitchen, you can join in the conversation, get help from friends and family and do a lot of things which you really can’t when you are in a closed off space. 2. In an open kitchen, the smells could spread across the living room, whereas in a closed kitchen the foul smells are confined within the space. Solution: Another way to look at this is that the closed kitchens are poorly ventilated and receive less natural light simply because they are surrounded by a number of walls. Therefore, having an open kitchen with windows is the best solution and these days, modular kitchens do have electric chimneys and exhaust fans which prevents the infiltration of kitchen smells and smoke and absorbs them effectively. 3. Open kitchen showcases all the mess while a closed one hides them. Solution: When you decide you want a open kitchen it’s quite clear that you are aware of the fact that open kitchens require more space than a closed one. When there’s plenty of space there will be plenty of place for cabinets and drawers to organise your Chinaware, kitchenware and appliances. 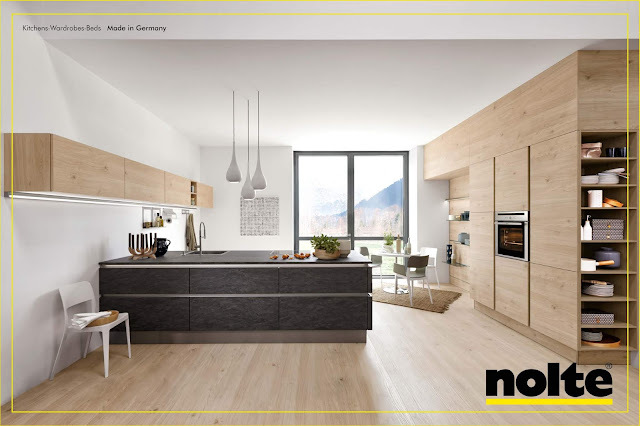 If you’re worried that your guests will be terrified when they see the kitchen waste, or things lying out, don’t fret, Nolte kitchens have a garbage bin in the lower cabinet that has both wet and dry section. This will allow you to clean the mess easily. 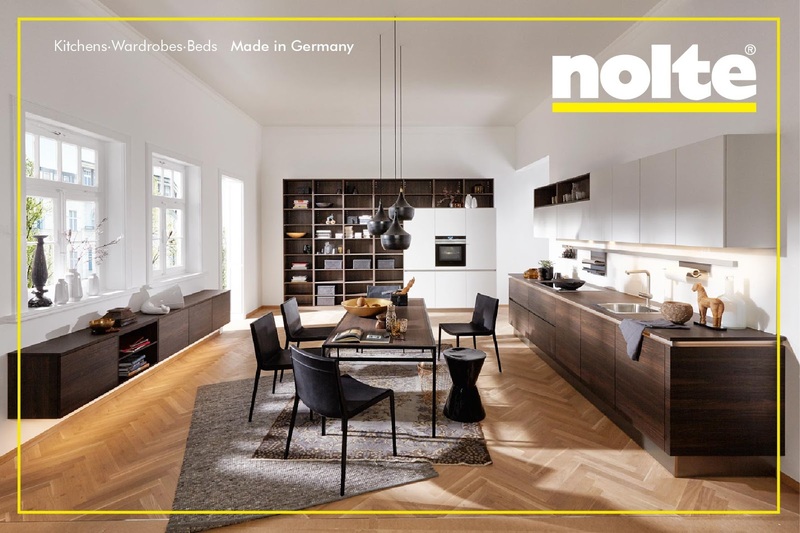 And if you’re worried about the clutter Nolte allows you to customise your kitchens so that if want more cabinets to hide your pots and pans consider it’s done. 4. More walls means more storage. Solution: Whoever said open kitchen means less storage have a faintest idea of the concept. The idea of an open kitchen design creates the illusion of more space. When areas are divided by walls, they appear to be smaller than they actually are. An open concept kitchen removes the barrier between the cooking area and the entertaining area, allowing one to flow seamlessly into the other. So what if you don’t have a wall, there’s some much more you can store in the wall shelf or island with cabinets. For example, Nolte Legno is an open kitchen with wall-sized cabinet doors that hides all the clutter and gives you more storage space leaving your kitchen uncluttered. 5. Closed kitchens keep sound confined to the kitchen space whereas open kitchens do not. Solution: Even if you have a closed kitchen the sounds of chopping, washing, sauteing, frying, cooker whistles, appliances like mixers, dishwashers, the noises will still disturb the conversation or decorum of the house. Some aspects cannot be controlled all the time but only to some extent. For instance, if you have appliances that have a silent features that will solve most of your problems. In addition, Nolte drawers and cabinets come with a soft close features which means there won’t be any slamming noise of the drawers. Open kitchen means limitless possibilities. You have a bigger space at your disposal with no dividing walls. Homeowners today have started experimenting a lot. 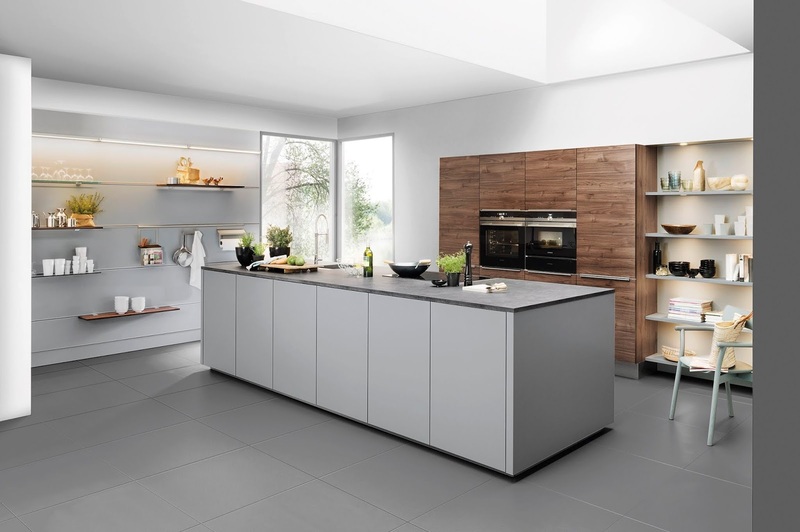 They are getting inclined towards the open form of kitchen primarily because it lets them spend more time with their families and guests and makes serving them drinks and snacks easier. They can keep a better eye on their children or guests who are in the other rooms. This layout allows you to interact with your guests while you’re preparing the food. Open kitchen includes kitchen-diners, multi-purpose cooking, eating, living areas and large family kitchens that act as a nerve centre for the entire household. It's a place where everyone can muck in together to prepare a meal, sit down to eat it and clear up afterwards. One can entertain themselves even while cooking by watching movies in between. It's where children can absorb some of the basic skills involved in cooking through sheer proximity to the main focus of activity; where parents can keep an eye on youngsters playing or doing their homework. It's somewhere friends and visitors can drop by and instantly feel welcome; inevitably, in households where there are pets, it's also where you'll find the dog basket or the cat curled up in a patch of sun. Open kitchens today have become an informal space where one can entertain, cook with family and friends and host informal brunches. It’s more of a Social Kitchen as we call it. But then, eventually, you’ll just have to figure out what’s best for you, your family, and your lifestyle. There’s no set formula as everyone has different needs and preferences, so list down your likes and dislikes, and work around them. Your choice of kitchen design should also depend on the amount of space you have!